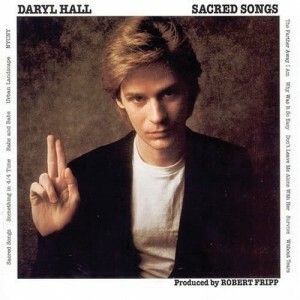 Today’s Cool Album of the Day (#792 in the Series) is Daryl Hall, Sacred Songs. 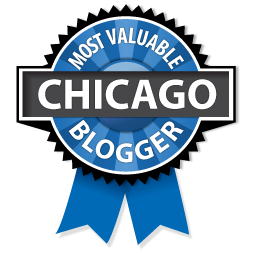 This is one of the main reasons that I’ve decided to create this site. That is to point out ditties like this. I have a feeling that many people did not know this gem existed. It’s the first solo release by Daryl Hall of “Hall and Oates” fame. I don’t know if DH is the best rock vocalist of all time, but he’s in the team picture. This was recorded in 1977 but not released until 1980. The wonderful RCA records held the album because is was ‘not commercial enough.’ I guess ‘very good’ just isn’t a good enough reason for a label to release something. I think it was just too different for their brain trust and they didn’t know what to do with it. The original plan was to put this on the market as part of a what Fripp was calling a “musical trilogy” that included two other releases. The first was Peter Gabriel’s 2nd album (The one with the scratching on the cover), Daryl Hall was part two. The final piece of the trilogy was Robert Fripp’s Exposure. Fripp played and produced all three. 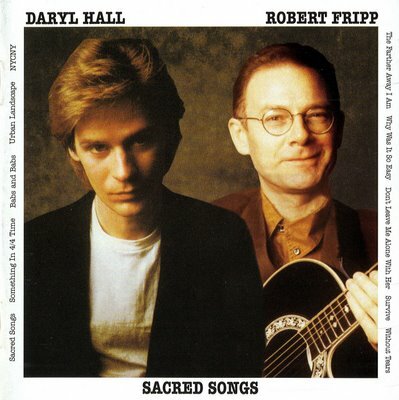 Hall sang on Fripp’s. Hall co-wrote a song on Gabriel’s etc etc. It was quite the interesting project. It had some really spectacular moments on it. The most accessible song was probably “Gotta Have Something in 4/4 Time.” “Babs and Babs” was another one good one, be sure you listen for Fripp’s solo in it. Some cool guests on the album too. Phil Collins and Jerry Marotta add drums. Sid McGinnis played with Gabriel around this time is on guitar. Sid has been part of Paul Shaffer’s band for years now. Brain Eno and Tony Levin are here as well. For years it was pretty hard to find as it was out of print for years. Luckily things have changed and you can get it now. All songs written by Daryl Hall except as noted. Daryl performs Babs and Babs in a episode of ‘Live From Daryl’s House’ with Guster. “North Star” from yet another. I own this on vinyl and CD. I can really see how brilliant it is. However, when I’m in the mood for some Daryl Hall solo stuff, this really isn’t the one I reach for. Daryl Hall’s best solo CD is a very hard to find Live In Philadelphia CD.